Two loving parents with a steady income and a high school diploma, these were things Earl J. Arnold lacked. His father died during Earl's first year of life and his labor was needed as soon as possible to support his family. He never graduated from high school. 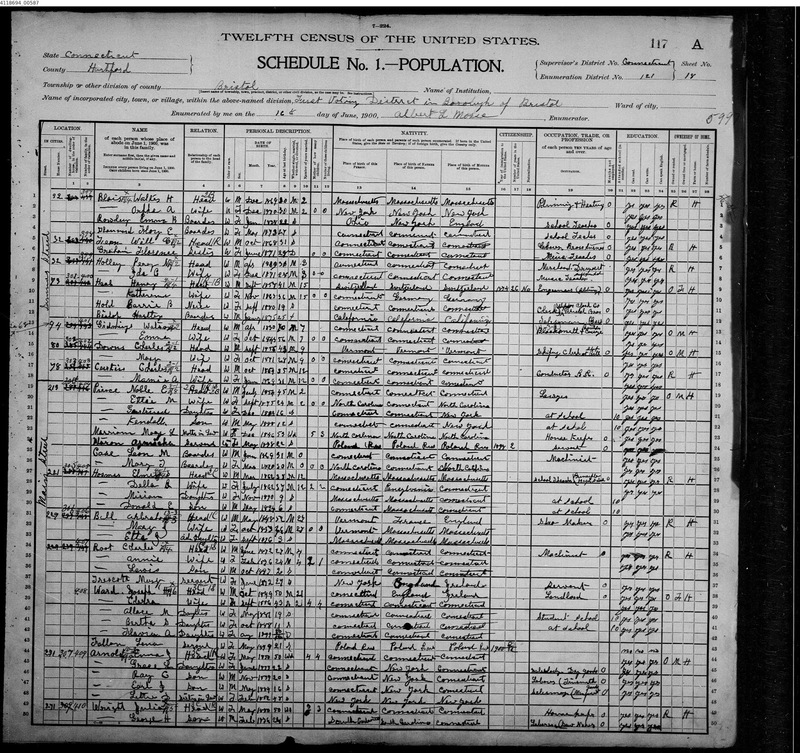 "Arnold, Earl W,M,34 work in clock shop; Emma W,F,30 wife, keeping house; Walter, W,M,5 son, At home; Grace W,F,2, daughter At home; Ray W,M,6/12, son, At home"
Robert Earle Arnold, aka Earl Arnold, served in the 1st Connecticut Volunteer Cavalry during the Civil War. Family records indicate he was one of the drivers of President Lincon's carriage. He died of war-related health problems when his son Earl J. Arnold was only 8 months old, leaving Emma Jane, creator of this scrapbook, with 4 children to care for. "Arnold, Emma J., Head of Household, 50, Widowed; Grace L., daughter, 22, Saleslady in Dry Goods; Ray C., son, 20, Laborer (Tinsmith); Earl J., son, 16, Salesman in Mens' Furnishings(? ); Lettie D., sister-in-law, 48. At this time son Walter was evidently not living at this address. At 271 Main St., Emma Jane Arnold, then 59, was sharing her home with her sister-in-law Lettie (58) and her son Earl J., 25 and his wife Pansy Clow, 27. 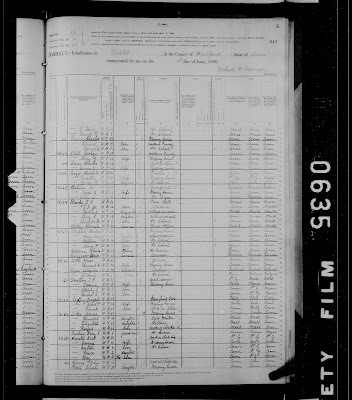 Earl's occupation then was listed as a clothing salesman while his wife was the organist at the Baptist Church. 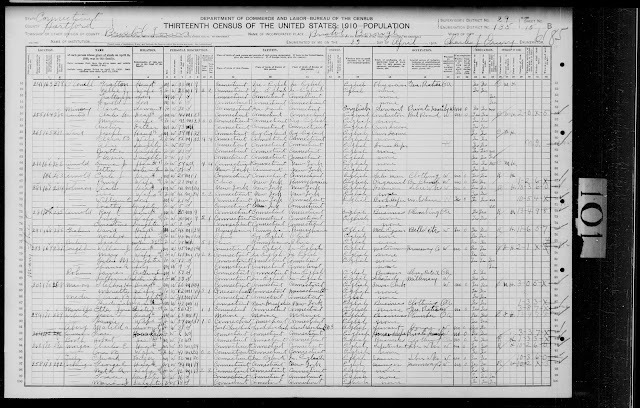 Not far away, at 281 Main St. lived Emma Jane's son Ray C., 30, with his wife Inez, 30 and their daughter Ernestine, age 2. By this time Ray was a skilled plumber. 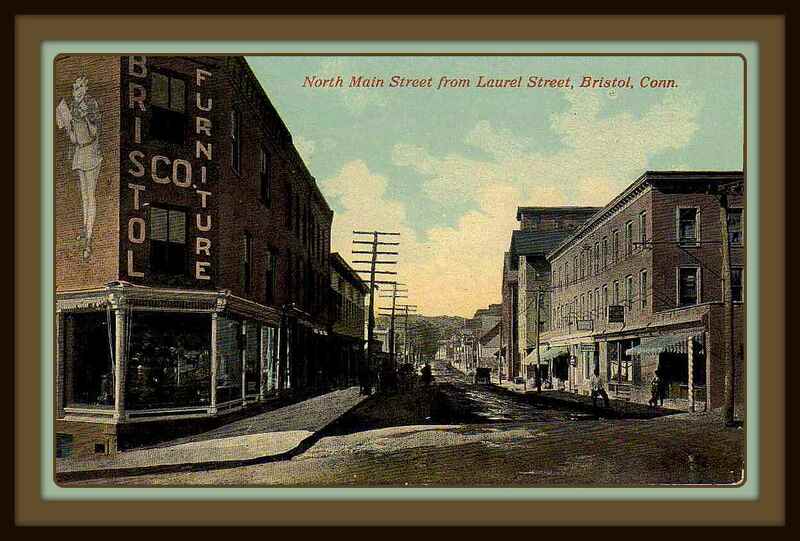 By 1918, when Earl J. Arnold registered for the draft (above) he was living with his 67-year-old mother Emma Jane and wife Pansy at number 3 Arnold Court, one of two Bristol CT streets named after him in 1911 when he was Vice President and Treasurer of the Bristol Furniture Company, according to Streetscape, Origins of Bristol Street Names and Geographical Features by Robert Adamczyk. (The other street was Earl St.) Streetscape is available from the Bristol Historical Society. "no.29--18939--pub. by the Aug. Schmelzer Co., Meriden, Conn."
This is probably the way things looked when Earl J. Arnold was Vice President and Treasurer of the Bristol Furniture Company. Title: An Historic Record and Pictorial Description of the Town of Meriden, Connecticut: And Men who Have Made It... A Century of Meriden "The Silver City." 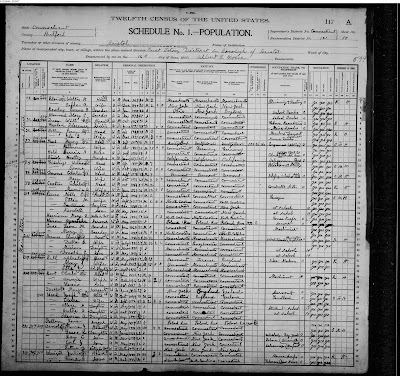 "August Schmelzer, a leading German resident, manufacturer, merchant and president and treasurer of the August Schmelzer Co., was born in Werdau, Saxony, Germany in 1841 and came to this country in 1870. In 1873 he began business in this city, opening a stationery store at the corner of Pratt and East Main streets. In 1884 he purchased the trucking business of James H. Chapman, which he has continued ever since with growing success. "He went into the coal and wood business in 1889 when he purchased the business and property of George C. Beadle, which he afterwards enlarged materially; and in 1893 purchased the land on South Colony and Cooper streets where he had constructed for him coal pockets adjoining the trade of the Consolidated railroad of 2,000 tons capacity and where 350 tons can be unloaded daily. At the coal yard is all modern machinery for cutting and splitting wood; and in the conducting of his coal business as well as other enterprises he has been assisted by his son, Edgar E. now secretary and treasurer. In 1895 he removed his stationery and periodical store to Morse & Cook's block where he added cigars nd tobacco; and in 1896 began the manufacture of cigars which he now conducts on a large scale, his factory adjoining the coal pockets. "Mr Schmelzer was one of the pioneers of the German-American school association, and since its organization, he has been one of the prominent members of the school board. He is also a member of Teutonia Lodge, I.O.O.F., Meriden lodge, D.O.H., Merien Turn Verein, Cosmopolitan club and the Meriden Saengerbund. And not alone as a prosperous and an energetic business man is Mr. Schmelzer well known to the public, for, with his manifold responsibilities, he has found time to devote eight years in the faithful service of the city government, six years of which he was a member of the common council. On committee work and in the council his honesty of purpose was never questioned; for it was always his aim to exercise the same business care with the city's interests that he did in conducting his own private affairs. He serves on the committee of reception and entertainment of the coming Centennial Celebration." Google Street View cameras went by the Bristol Furniture corner in 2015. Only the angles are preserved (below). 3 Arnold Court is a multi-family residence with a dried up lawn in September, 2007. As he explains in his account of the origins of this scrapbook, the emphasis in his early life was on keeping the family of five together. Following the example set by their mother, Emma Jane Bailey Arnold, Earl and his three siblings worked hard at several jobs to make this happen. His brothers Walter and Ray became plumbers with well-deserved reputations as experts in their craft. His sister worked for years at A.J. Muzzy's famous store in Bristol CT.
Earl's career path was not as focused as those of his siblings. His interests were wide-ranging. For a time he worked with a friend painting houses. He had experience as a newspaper reporter, working for the Hartford Times, the Connecticut (later Hartford) Courant and the Bristol Press. Later, he handled publicity for the New Departure Co.
Earl excelled as a Chamber of Commerce executive. He began in Bristol CT (~1925), then worked for the Chambers in Lake Worth FL, Hartford CT and Willimantic CT. When was appointed Secretary of the Waltham MA Chamber of Commerce in 1935, one of his first tasks was to find new tenants for the Waltham Watch factory building. 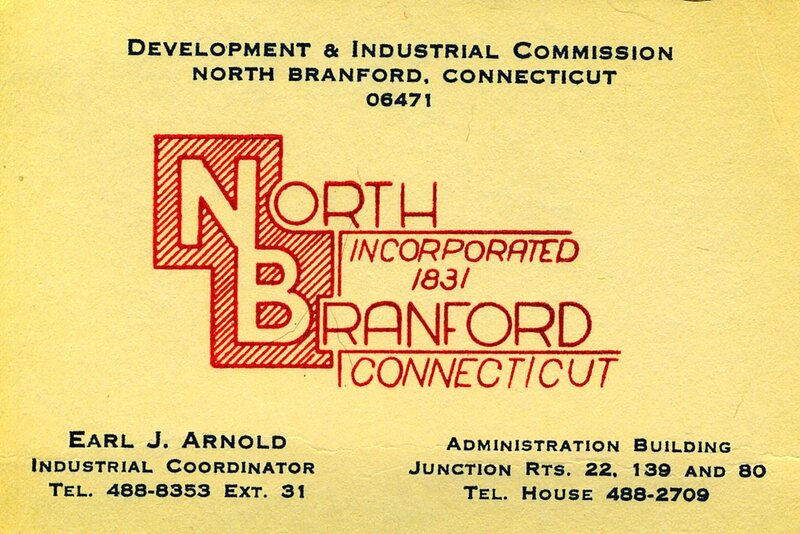 From 1939-40 Earl J. Arnold served as President of the New England Association of Chamber of Commerce Executives. He developed a huge network of friends in industry. Held in high esteem by his fellow Chamber executives, his work was obviously a source of great joy for him. 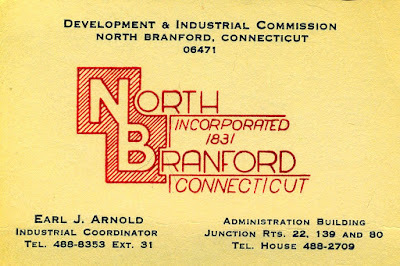 So much so, that after he retired from the Waltham Chamber and moved to North Branford CT with his second wife, Ruth Judson Beers (m1960), Town Clerk, he continued his work as "Industrial Coordinator" for the Development & Industrial Commission of North Branford.